Antonia Minor was the younger of two daughters of Marcus Antonius and Octavia Minor. 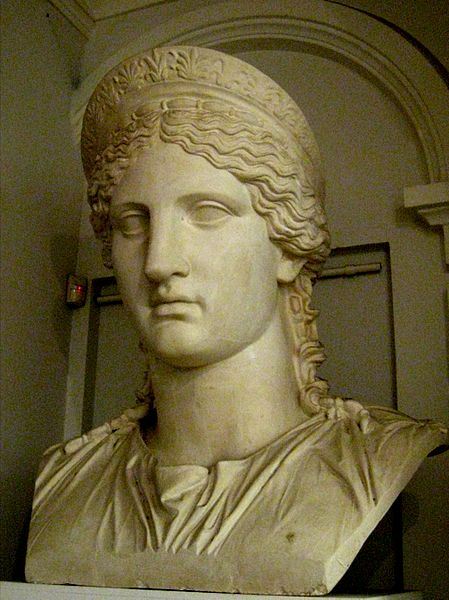 She was a niece of the Emperor Augustus, sister-in-law of the Emperor Tiberius, paternal grandmother of the Emperor Caligula and Empress Agrippina the Younger, mother of the Emperor Claudius, and both maternal great-grandmother and paternal great-aunt of the Emperor Nero. In 16 BC, she married the Roman general and consul Nero Claudius Drusus. Drusus was the stepson of her uncle Augustus, second son of Livia Drusilla and brother of future Emperor Tiberius. They had several children, but only three survived: the famous general Germanicus, Livilla and the Roman Emperor Claudius. All coins of Antonia were struck posthumously, during the reign of Claudius, who also elevated her to Augusta.